Home » Blog » Roof vacuuming » Allergies » How to get rid of Cockroaches naturally? How to get rid of cockroaches naturally? The presence of cockroaches is so unpleasant that they are considered among the worst of domestic pests.Cockroaches consume human food and at the same time contaminate them with saliva and excrement. They transmit diseases which can cause diarrhea or food poisoning. Cockroaches enter homes in search of food, water and shelter. Once they have infested an area, they can multiply quickly, posing a threat to the comfort and health of you and your family. It is important to get rid of cockroaches before an infestation occurs. Cockroaches are known to carry bacteria that can result in allergies and skin rashes. How to get rid of cockroaches naturally? 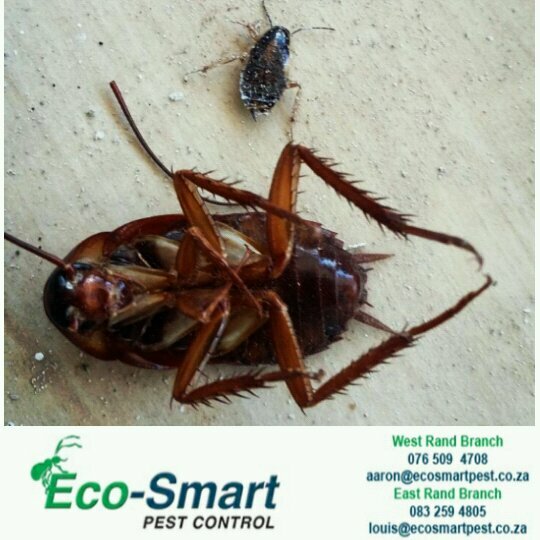 DIY tips from Eco-Smart pest Control which can possiblyhelp you control the infestation. Soak two pieces of bread in beer and place in a coffee Jar. Place the coffee jar where you have seen and identifiedcockroaches. This process needs you to be patient and in time you will be able to seal the lid and get rid of them. KEEP OUT OF REACH OF CHILDREN AND PETS!! !Place equal parts of baking soda and powdered sugar in a bowl (like a plastic butter dish or saucer).The cockroaches will eat this sweet treat and it will kill them. Roaches hate cucumber, so just take some cucumber peelings and place them wherever a problem exists and the roaches will find a new home. They also hate bay leaves, cayenne pepper. The fresh smell of lemons is often associated with a clean home, and lemon is often used in the world’s most popular household cleaners. There is no denying that lemon juice is a powerful agent that is able to cut through grease and stains, but what many people don’t know is that it can repel cockroaches, too.Add lemon juice in a spray bottle and spray in hard-to-reach areas of your home where you know roaches infested. Disclaimer: Kindly note that based on how severe the infestation has spread in your home, we cannot guarantee a 100% success using these methods.